Website translations involve technical, practical and creative considerations. On the one hand is the functionality of your company’s website: is it global-ready? Can it handle translated content, text expansion, different character sets etc.? Then there are practical considerations such as how your CMS integrates with forms, and how customer services enquiries will be handled when customers contact your company through the local website. Finally there are cultural and creative factors including tone of voice, brand positioning, terminology, creative copy and cultural references. This final consideration is also where the website localisation process begins. Having ensured that your website can handle the technical aspects of a website translation, and that business operations can handle the practical considerations, it’s time to get localising! Below I outline what the localisation process involves and offer tips for streamlining your website translation project. Usually a content audit is performed before the localisation project begins, as part of the quoting stage when engaging a translation service provider (TSP). They need to understand the scale of the project and what type of translation methods to use. For example, some areas of your website may need creative translation or transcreation to retain the emotive style and content of core marketing messages, whereas other areas could use machine translation to speed up translation time and reduce costs. 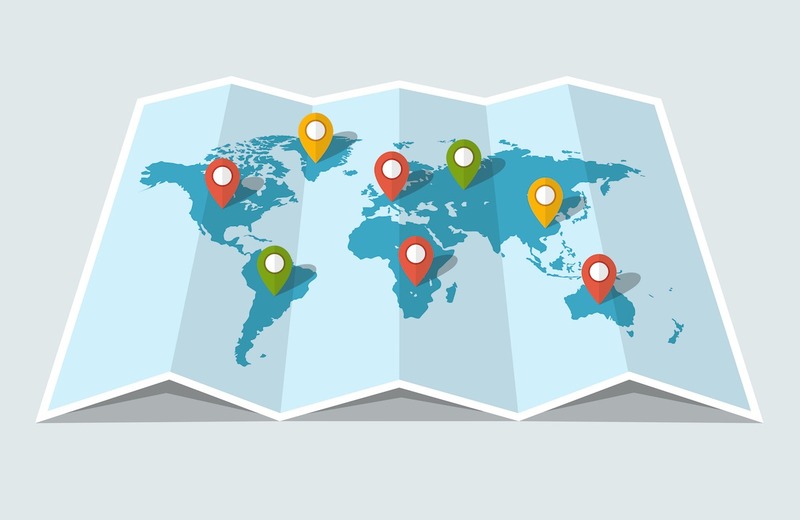 If this process has not happened, this is the first step in your website localisation process. The objective is to understand exactly which content requires translation and localisation, which methods to use, which resources are required to enable effective translation, and how to prioritise the content and workflow. If the content has not been transferred to your TSP, or if it has been edited since the content audit to make it more suitable for translation, files should now be sent for localisation. Ideally all files should be made available using your chosen method (see our post on how to share content with your translation company for website translations) at the same time. This will enable them to streamline the work more effectively, saving time and money; and to take full advantage of existing translated content stored in a Translation Memory. Website translation projects can become long winded, or even stall, when there are multiple reviews and changes made. One way to avoid this happening is to create a clear and concise style guide for the translated website factoring in brand guidelines and each target market. Your translation partner will also want to create a glossary of terminology for each market, agreeing specific company and industry specific terms that will be used consistently across all website content. This can be developed with the TSP and their team of linguistics, or created internally with the support of in-country colleagues. Your translation partner may update this glossary as the project develops and new terminology is required. Reference materials should also be provided if they exist, such as marketing translations that have been produced for each market. Translated product marketing content and technical documents are also very helpful to ensure consistency of tone, style and terminology. Your translation service provider will handpick a team of linguists, project managers and artworkers with the right experience to translate and localise your website. Over the course of the project they may have questions that require a response from your team to enable them to complete the website translation successfully. The TSP will set up systems and procedures to avoid repeated questions and to document all answers. To help the translation team deliver your project on time, on budget, and to a high standard some collaboration will be required. Your translation partner will have quality assurance controls in place to ensure accurate and high quality translations – choose a provider with ISO 9001:2015 and ISO 17100:2015 quality certification to ensure your website is in a safe pair of hands. This will involve proofreading and reviewing localised content in-house, and sometimes moderation from a third native-speaking translator. However, client-side someone will have to sign off on the localisation project and approve website translation. We recommend that clients arrange for in-country colleagues to review the content in their respective languages. Of course, translations are subjective so guidelines should be created to help reviewers assess the quality and accuracy of the content, style, tone and brand messaging. Once the translations have been reviewed, revised and signed off the final step of the localisation process is to deliver the translated files. In many cases these will have already been transferred in stages, so as not to overwhelm your in-country reviewers, and will be ready for publishing as soon as the project is signed off. Depending on the method used to transfer the original source files to the TSP, the translated files will be delivered using the same method. If using CMS integration the approved files will already reside in the local CMS. Similarly with a translation proxy the translated files and localised content will be ready to go. However, if the chosen method is a traditional file transfer, your translation partner will deliver all files, localised content and supporting information in a pre-defined file structure to make uploading the content as straightforward as possible. Now it’s just a question of ensuring that operationally your business is ready to launch in the new market, and then hit the ‘go live’ button.